If you ever ask anyone who has been to the Huayna Picchu mountain, if it is worth the risk to reach the top, surely answered with a resounding yes; Besides giving him some other reasons why he should reach the top of the “huayna”. The mountain Huayna Picchu (or Wayna Picchu) is one of the best experiences you can have in Machu Picchu, worth the risk, the money and the time it takes to reach it and its top. We know of people who decide to travel half a world only to see if they can reach the top. Huayna Picchu is a unique experience and we assure you that it will become one of the best in your life, no matter how many mountains you have ascended or the amazing places in which you have been. Look at any of the millions of classic Machu Picchu photos, do you see the mountain behind the Inca city? Is the Huayna Picchu mountain. The formation of these mountains is so particular that it seems to be a human face looking at the sky. This mountain is one of two that you can climb from the Inca city of Machu Picchu. However, while the mountain Machu Picchu is very amazing, the mountain Huayna Picchu can change the way you look at things forever. Huayna Picchu means young mountain, is 2,667 m high, is thick with vegetation and its summit offers a climb of 300 m over the Inca city of Machu Picchu, giving you the opportunity to take incredible aerial photos of this wonder of the world and the lush surroundings Of surrounding mountains; But it is not all, at the top you can see the Temple of the Moon, one of the most amazing constructions inside the National Park of Machu Picchu. You will surely find out about this mountain and one of the things you will read the most is that its trails are scary; But do not let fear prevent you from reaching the top of Huayna Picchu. The route is considered among the most amazing short walks of the planet; Begins in the Inca city of Machu Picchu, very close to the sacred rock of Machu Picchu. While it is true the paths are frightening to the naked eye, if you manage to overcome them, it is possible that your life will change completely from that moment. The road is built next to the mountain, exactly between the mountain walls and cliffs of hundreds of meters with direct falls to the Urubamba river. The route will also need to overcome the stairs of death, we know it sounds scary, but know that it is only the name, no one has ever died on the stairs of death; Nevertheless, its terrifying vistas have made that it is baptized this way. Machu Picchu and Huayna Picchu Mountain were designed to be inaccessible places, and any attempt to find ways on their own can mean more than just broken bones, we speak of hundreds of meters of falls. 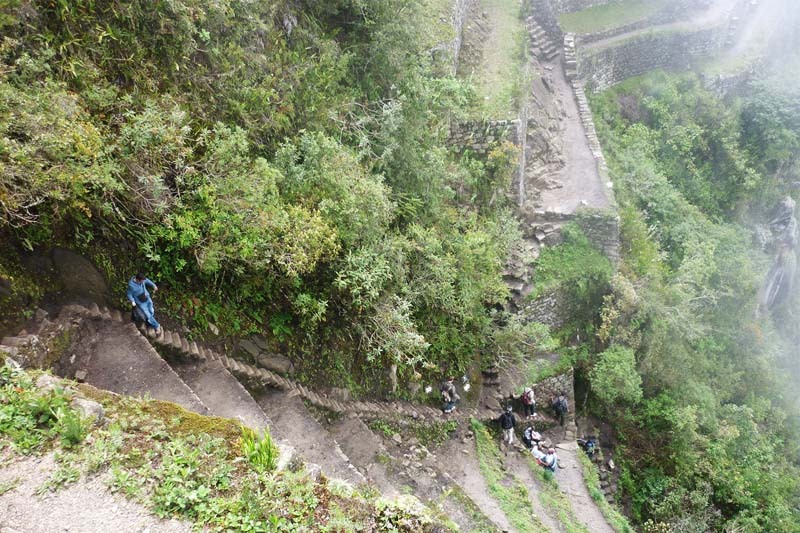 This is what you need to know to ascend the mountain Huayna Picchu on the date you choose. You can have the ticket Machu Picchu + Huayna Picchu in your hands, but it will not serve you if you fear the heights. There are cases where people are completely paralyzed in the middle of the route due to panic attacks and vertigo. However, if you manage to overcome this fear and reach the top, what you will see, you can never get out of your mind. If you want to choose the day you want to enter the mountain Huayna Picchu, you need to book the tickets + Huayna Picchu with 2 months in advance; Otherwise, you may have to book them for the remaining available days. 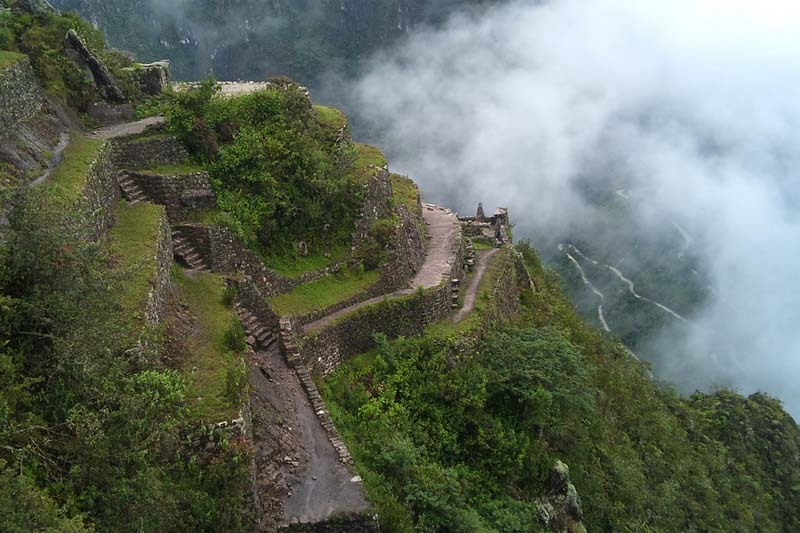 So you might want to check out the availability of the tickets Machu Picchu now. Immediately after knowing the date you will enter Machu Picchu, reserve the train tickets. You may have your tickets Machu Picchu reserved for months and have not having any way to get to Machu Picchu. So book train tickets in advance. You may meet an 11-year-old professional climber; However, this person will have to wait to turn 12 years to travel the mountain Huayna Picchu, are the rules. Huayna Picchu: Group 1 or Group 2? Our experience teaches us that the Inca city of Machu Picchu is usually cloudy, making it impossible to see it from the top of the mountain Huayna Picchu, especially in the rainy season; This is why we will recommend you to reserve Group 2 (entrance 10:00 to 11:00 am), this will avoid the morning fog of Group 1 (entrance 07:00 to 08:00 am). Something you should not forget is to bring hiking boots, this will give you greater safety when walking the mountain stone trails, do not forget to bring sunscreen and repellent. Another thing that “has to bring” is a rain poncho, no matter what time comes to Machu Picchu. The tour also demands drinking plenty of water.Do not forget that everything you bring must enter a small bag and you will need your hands free. 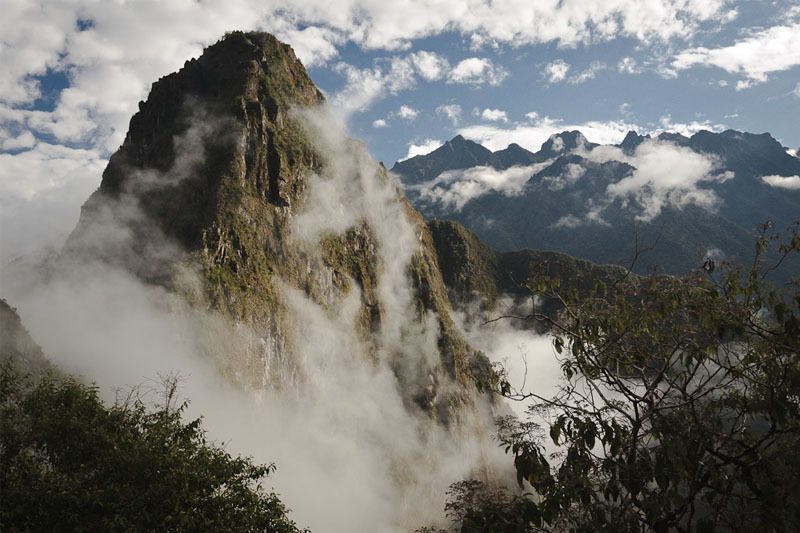 When is the best time to ascend the Huayna Picchu mountain? The best time to visit the Huayna Picchu mountain is during the dry season (from April to October); However, the rainy season in Machu Picchu is especially enchanting, as well as having some advantages. “Remember that to ascend the mountain Huayna Picchu did not need a great physical, but yes of respect for mountains and extreme heights“.